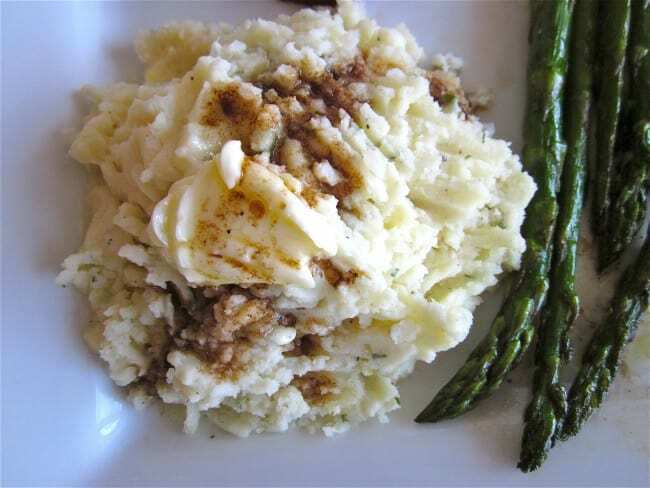 Make ahead mashed potatoes are perfect for holiday meals! 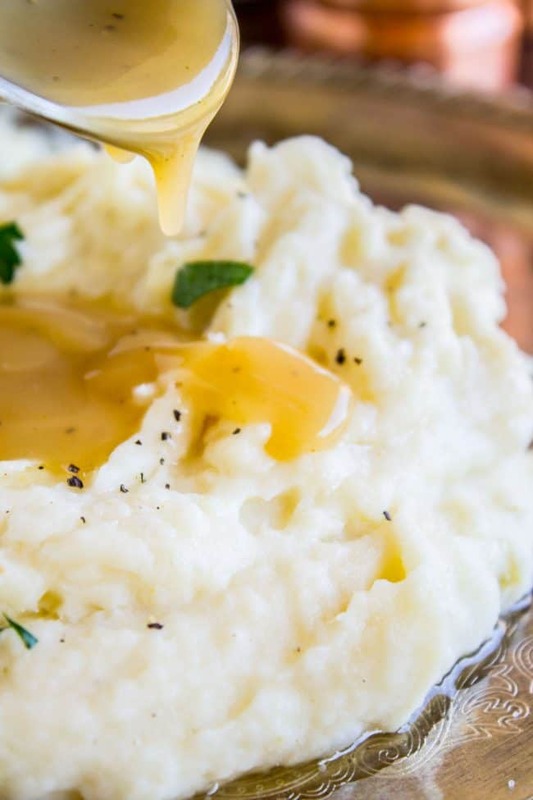 These Creamy Italian Mashed Potatoes are packed with flavor and so easy to throw together. 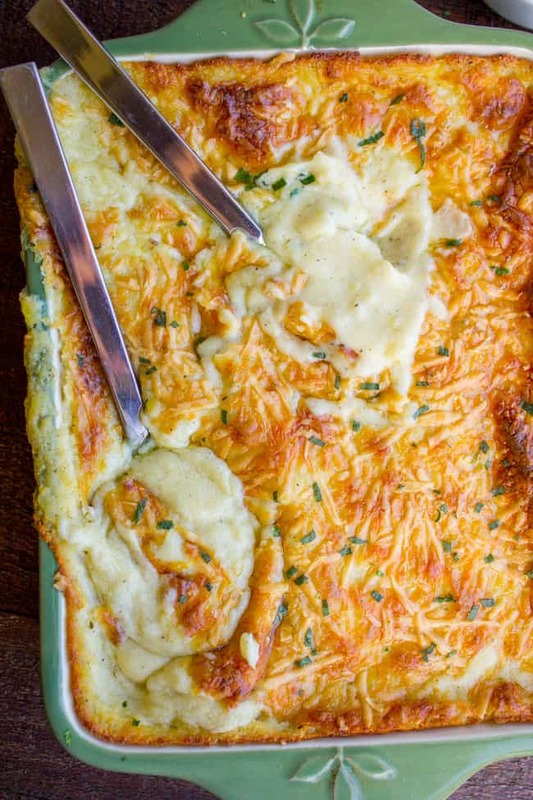 After whipping the potatoes, you put them in a casserole dish and bake til crispy. It’s so good! Saturday afternoon, Eric and I piled everyone into the car to head to my niece and nephew’s joint baptism ceremony. We even managed to get the usual Saturday night bath in early, so everyone was looking particularly spiffy. (Well. Except Valentine. She napped through the bath and looked like a baby Einstein.) But never mind that, most of us looked great. That is, until we were about halfway there, and I looked down and realized that below my long maxi skirt I was wearing fuzzy socks and Eric’s 3-year-old moccasin slippers. It was too late to go back. We would miss the ceremony. I was panicking. I can’t walk into the church wearing SLIPPERS!!! Thanks Eric. Thanks a lot. I suppose this is karma for stealing Eric’s slippers all the time. My house is cold, okay?! Seriously though, it has been raining nonstop this week. It’s like California finally got the memo that it’s supposed to be winter, just in time for spring. Speaking of spring, did you know that Easter is only in eighteen days?? How did this happen?? Early Easters always throw me off! I’ve got you covered for mashed potatoes! This recipe is one that I’ve been meaning to try out for years. 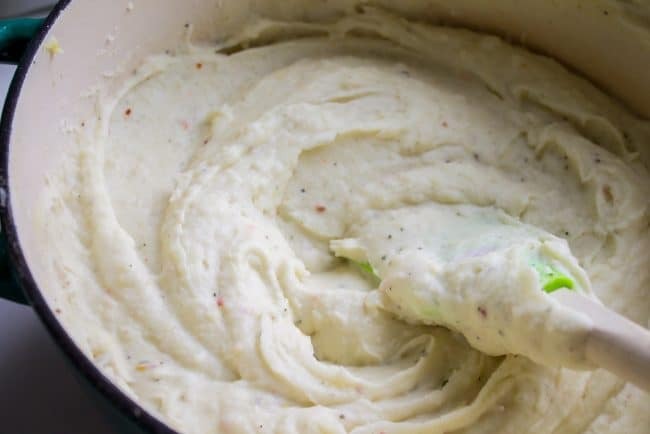 A reader left a comment on this Mashed Potatoes recipe that her grandma used to make creamy mashed potatoes with cream cheese and dry Italian dressing mix. Then she would bake them til crispy. It sounds amazing, right?? It is. We absolutely loved these potatoes. 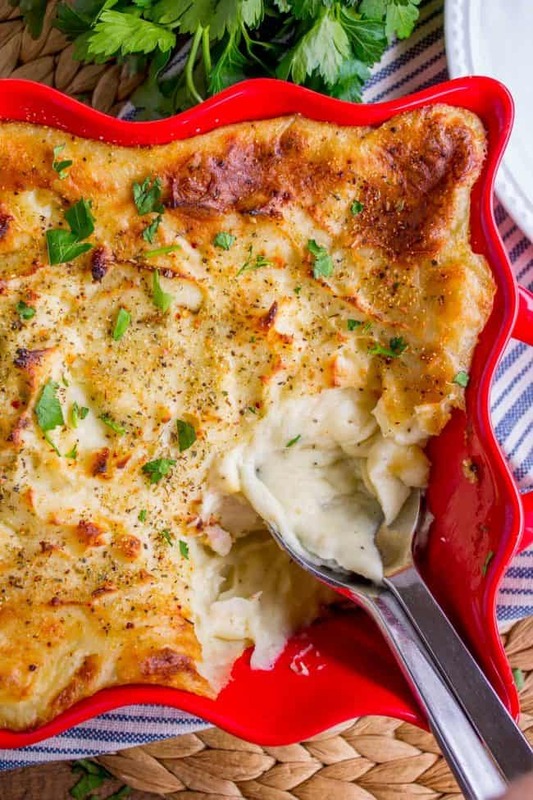 I love that they are baked, because you still get super creamy mashed potatoes underneath the crispy topping, but you can make them up to a day in advance. I am slowly learning over the years just how much finesse it takes to pull off a perfect holiday meal where everything is still warm but nothing is dried out. It’s tough! I’m still not there! 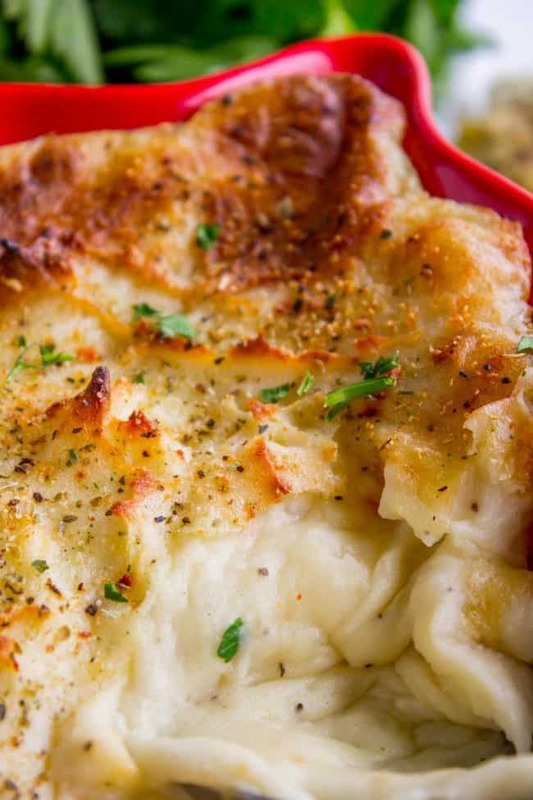 But dishes like these make ahead mashed potatoes make it a lot easier. At least you don’t have to worry about dried out (or stone cold!) mashed potatoes! Just leave them in a warm oven until it’s time to eat. 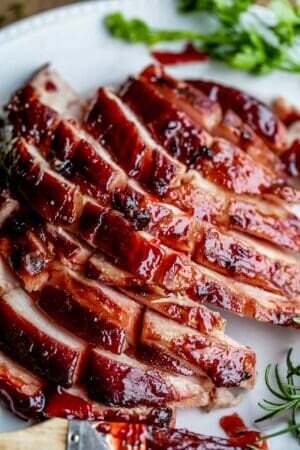 Check out my Easter Flavors board on Pinterest for more holiday meal ideas! Make ahead side dishes are perfect for holiday meals! 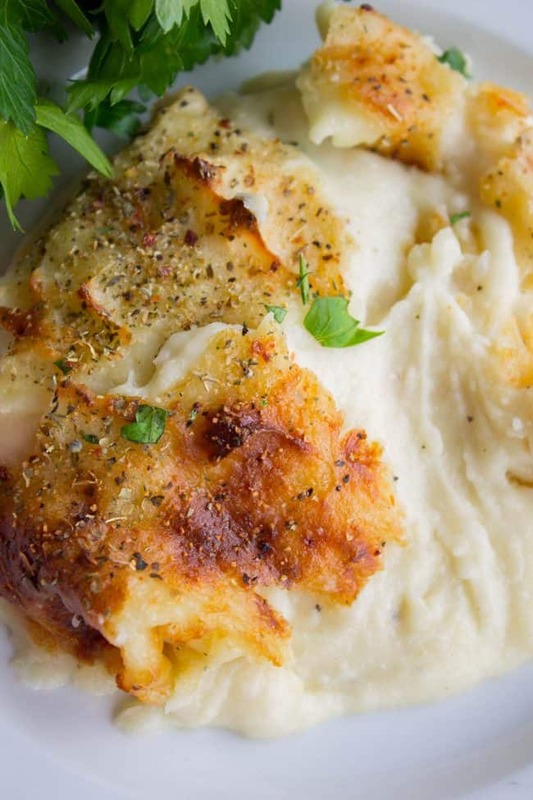 These Creamy Italian Mashed Potatoes are packed with flavor and so easy to throw together. 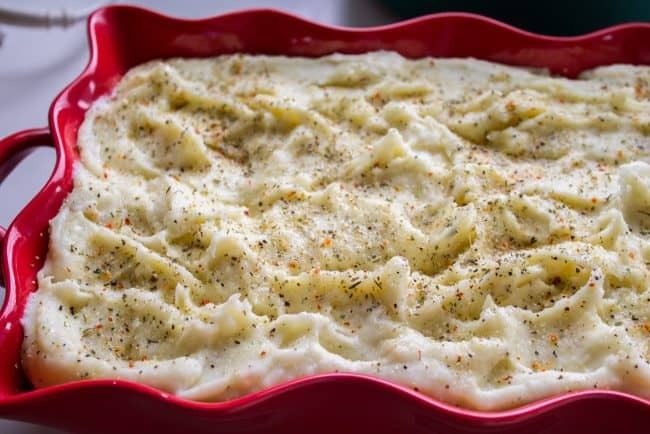 After whipping the potatoes, you put them in a casserole dish and bake til crispy. It's so good! Bring a large pot of water to boil over high heat while you peel and chop the potatoes. Chop them into 1 or 2 inch chunks. Add the potatoes, onion, and garlic to the water, even if it's not boiling yet. Leave the heat on high until the water starts boiling, then reduce to a medium simmer. Boil for about 15-20 minutes until the potatoes are very tender. Add the cream cheese, butter, 2 packets of Italian dressing mix, and Chicken Base. Use a hand mixer to beat the potatoes. This should only take about 2 minutes. Taste the potatoes and see if you want to add any salt and pepper. Use your spoon to create wave and divets on the surface of the potatoes. 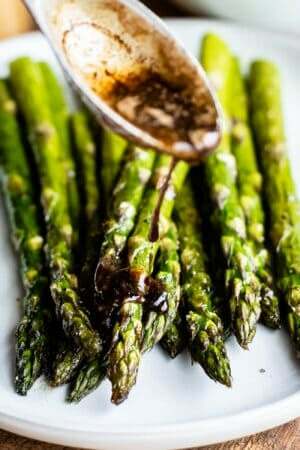 Sprinkle with 1 tablespoon additional dry Italian dressing mix. If you don't have another packet, or think it's annoying to have an open package in your cupboard, then skip it and just sprinkle on some Italian seasoning. I did both! Bake at 400 degrees F for about 20-30 minutes, until the top has developed a layer that is as crispy as you like it. Follow instructions through step 12 (put the potatoes in the casserole dish and top with seasoning). 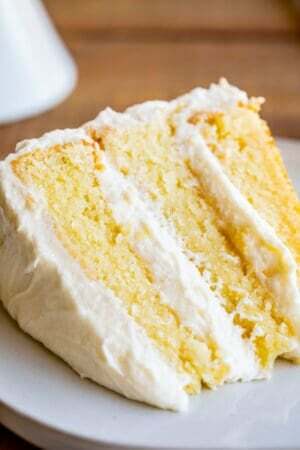 Cover tightly and refrigerate for up to 24 hours. When you are ready to bake, remove the cover and bake at 400 for 30-45 minutes, until hot and the top has become crispy. 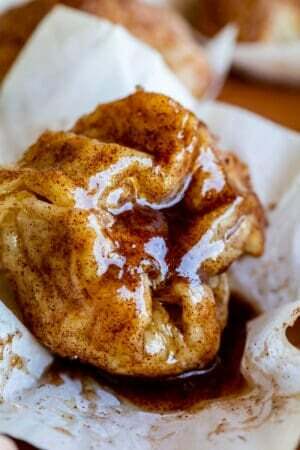 Other potato recipes to make for Easter this year! Aunt Shirley’s Famous Creamy Mashed Potatoes <<legit. Mashed Potatoes from my mom :) I have some really great mashed potato makers in my family, guys, what can I say. 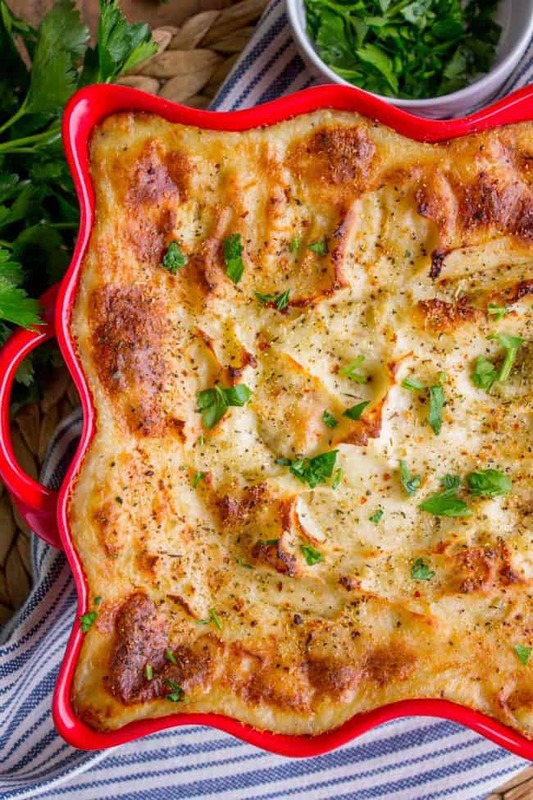 Other potato recipes from blog friends! I absolutely adore you, Karen! 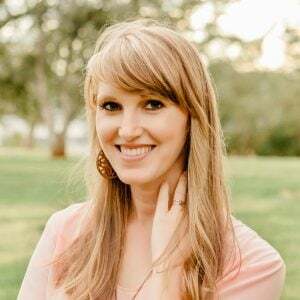 I get so excited when I see you have a new blog post, and you never disappoint! Between your stories and wonderful recipes, I know I’m in for a treat, and you didn’t disappoint today! LOL about the slippers! We have been in Santa Cruz for three weeks, and this rain……😫. We are transplanting 25 rose plants from S.C. to Sacramento on Sunday, and I’m really hoping the rain holds off for a few days. These potatoes seem like an excellent idea to eat after the transplanting is completed. I think I’ll be needing warm comfort food! Thanks for another great recipe! Thank you so much for reading Collette!! I love hearing from you! What are you transplanting roses for?? Sounds like an adventure! We transplanted 25 roses from my mother-in-law’s garden to my brother-in-law’s garden. My sweet mother-in-law passed away 11 months ago, and her house just sold. Her rose garden was her pride and joy……well, behind her dog and kids, and we jokingly say it was in that order. I’m so thankful the weather cooperated and provided just the right weather during the transplanting. We just finished transplanting the roses so are going to stay in Sacramento tonight, so I’m going to go to the grocery store and look for the Marques Brothers sauce you used in your Cafe Rio recipe and the curry sauce you used in a recipe not too long ago. I looked for the items in the small town we live in, but couldn’t find either, so I’ve been waiting to look while here. I hope Valentine’s pink eye is better. She is so cute, and oh my goodness is she growing up quickly! Wow moving 25 rosebushes sounds like quite the task! I’m glad everything went as planned! I’m sorry to hear about your mother in law. They have a really special place in our hearts. And it is so true, the days are long but the years are short! That describes it perfectly. I hope you have/had fun cooking and that everything turned out! !